Service Dog Badge With Leather Case - Metal Alloy Construction, Highly Detailed, ID Holder - Dimensions 5”x 3” | BUDK.com - Knives & Swords At The Lowest Prices! We know Service Dogs play an important part in the community and sometimes there is confusion when people, who don’t realize their purpose, see them in places where dogs are not usually allowed. Our Service Dog Badge is a quick and easy way to show someone that your partner is officially allowed! 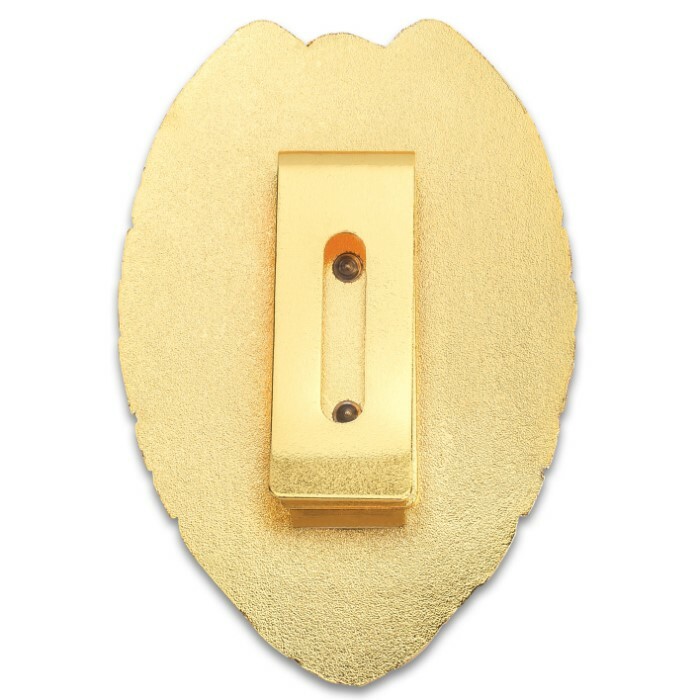 The badge is expertly crafted of metal alloy in intricate detail with a red, white and blue color scheme on a background of gold. 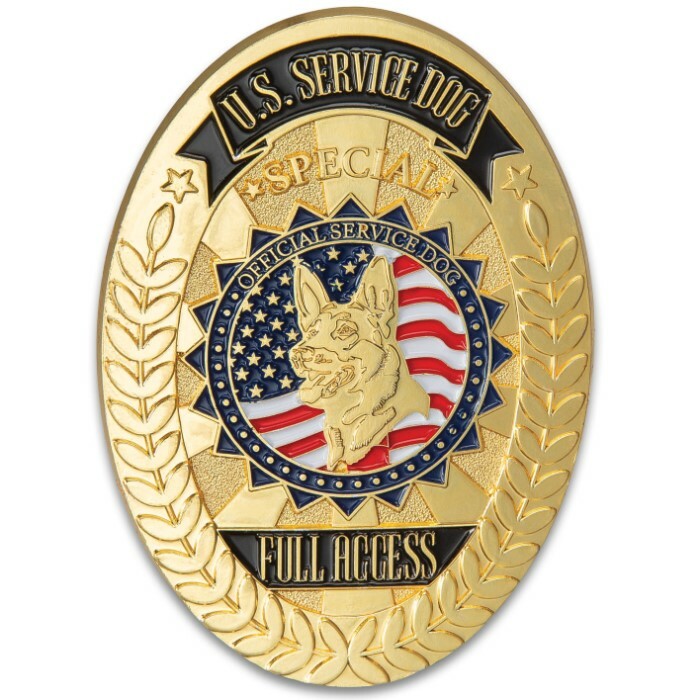 Embossed on the badge is a picture of a service dog on a flag background and the words, “US Service Dog” and “Full Access”. 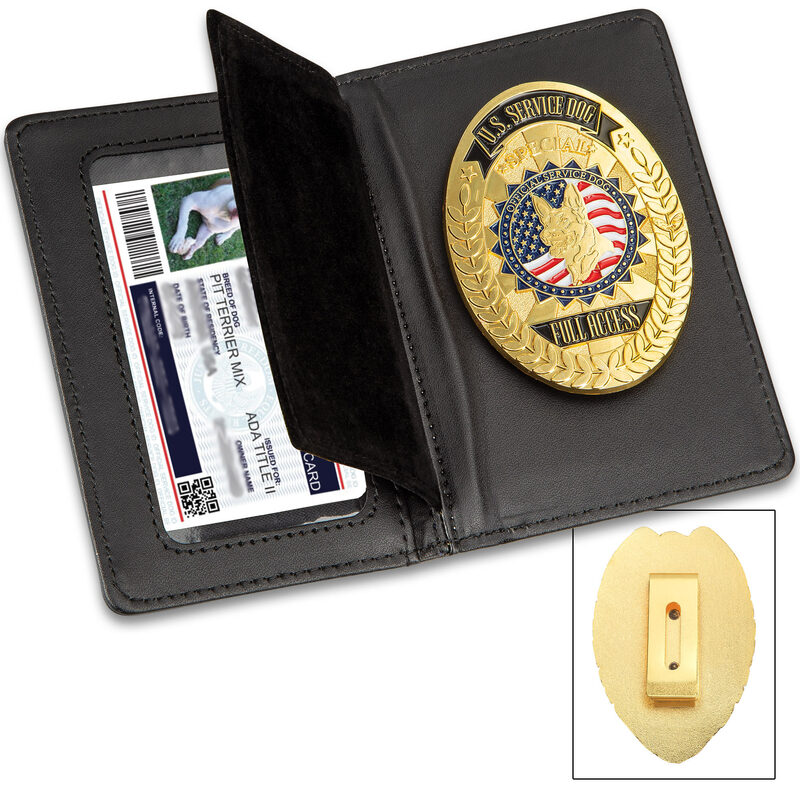 Inside the folding case, on the left, is an ID slot with a clear window and, on the right, the badge clips into a slot. 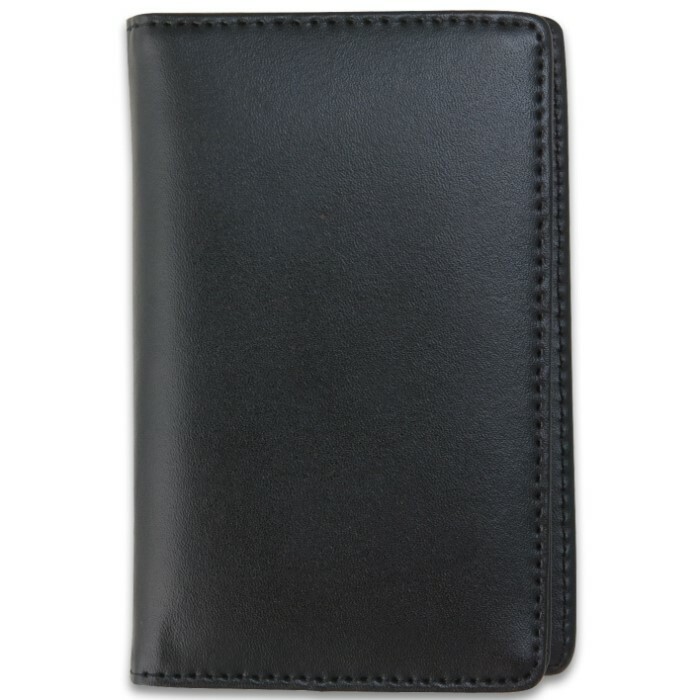 The genuine leather folding case is 5”x 3” and features a velvet protective flap inside and the badge is 3 1/4”x 2 1/4”.